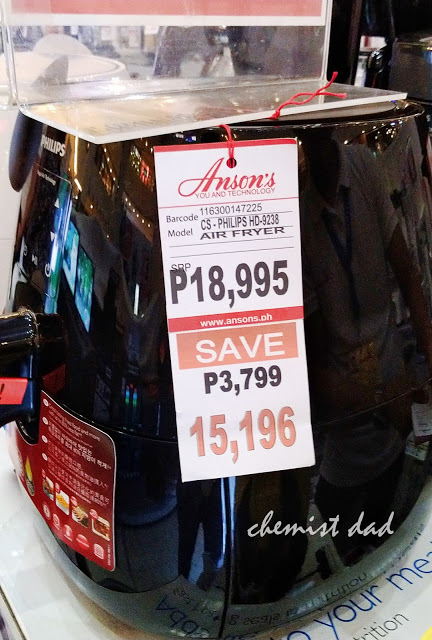 Almost 3 months ago, Daddy got a new kitchen appliance from an Appliance Expo at Trinoma. 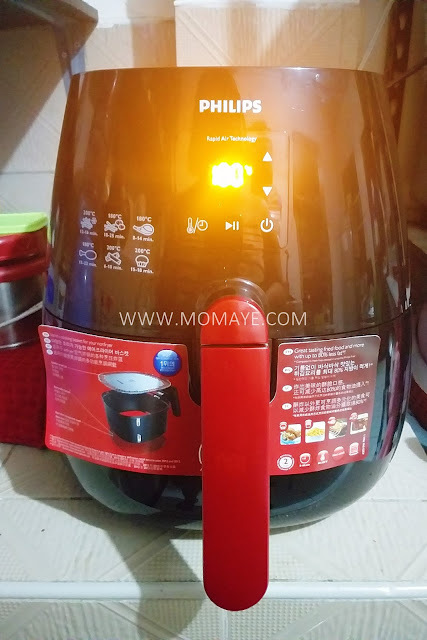 This Philips Airfryer has been in my appliance wish list since last year. 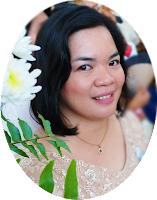 I just find it really pricey that's why we kept on delaying to buy it. Until Daddy passed by Trinoma Activity Center where the Appliance Expo was happening and he saw it on sale! From 18,995 pesos to 15,196 pesos. That's 3,799-peso savings right? 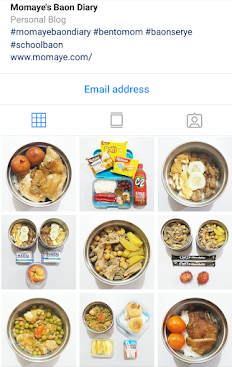 And since my son loves fried food, we decided to "invest" on it for our healthier food and baon/snack. (Read: Momaye Baon Serye). 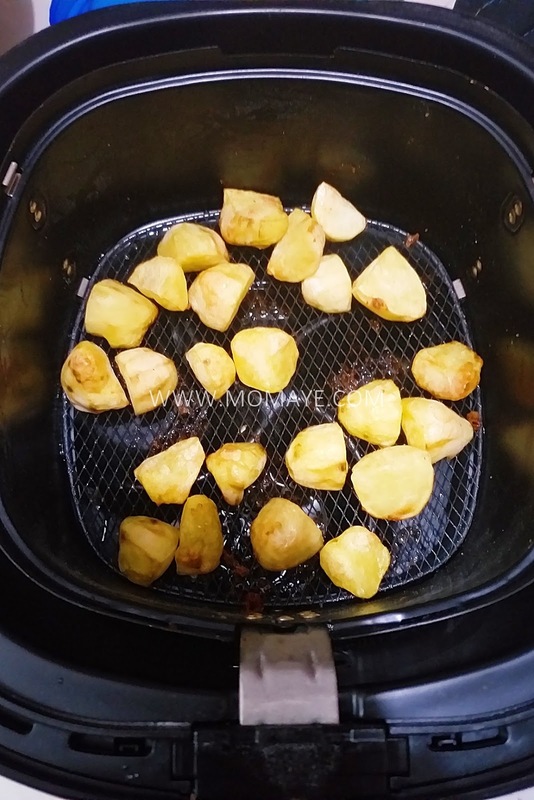 Air fryer is the miracle kitchen gadget that every health conscious should have. Air fryer is like a small convection oven that works by circulating hot air up to 400 degrees around the food making it crispy without the oil or butter we normally use. Now, does this Philips Airfryer can really make good fried foods? Let's see in the next photos. 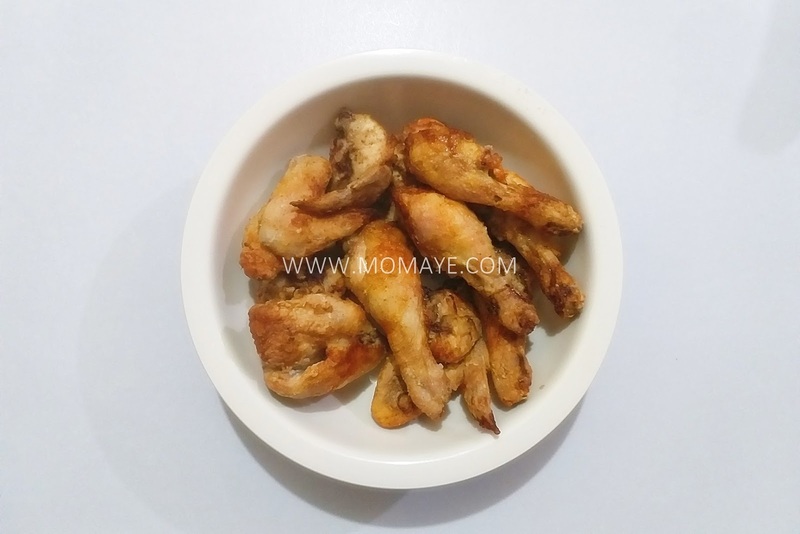 Of course, the first food we tried is chicken, our son's favorite. This how the chicken pieces look like uncooked. But I suggest not to overcrowd the pan to achieve even cooking. You can put 5-6 chicken pieces inside. 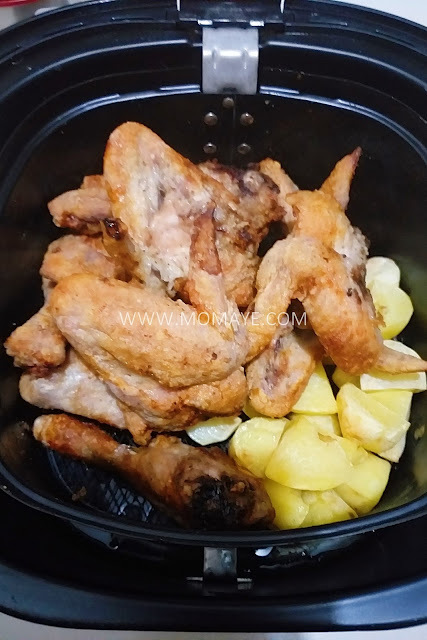 And when the chicken is almost done, I put baby potatoes. 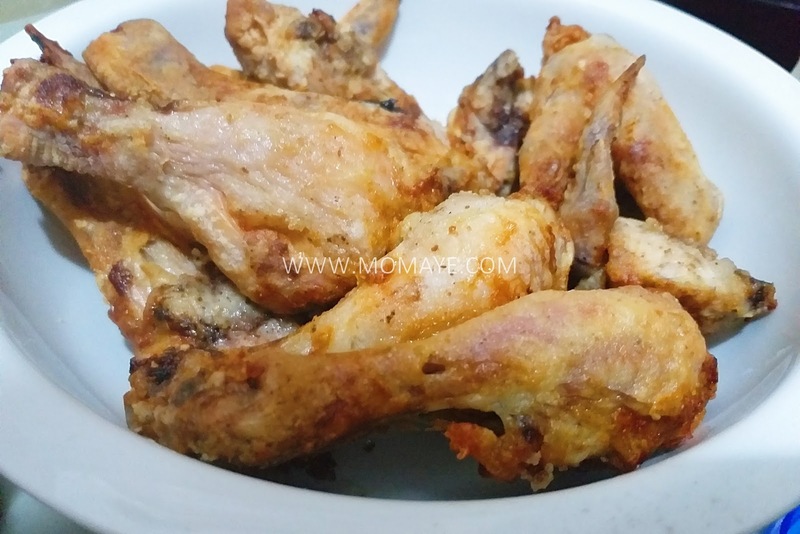 This is the air fried chicken after 20 minutes of cooking. Are they still crispy? Yes, without the oil. How about the baby potatoes? 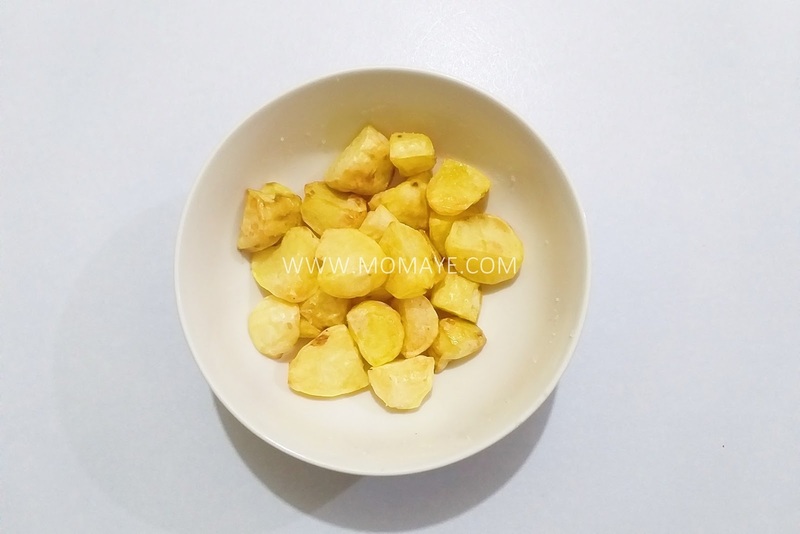 The potatoes were cooked just like how you fry it without the oil. 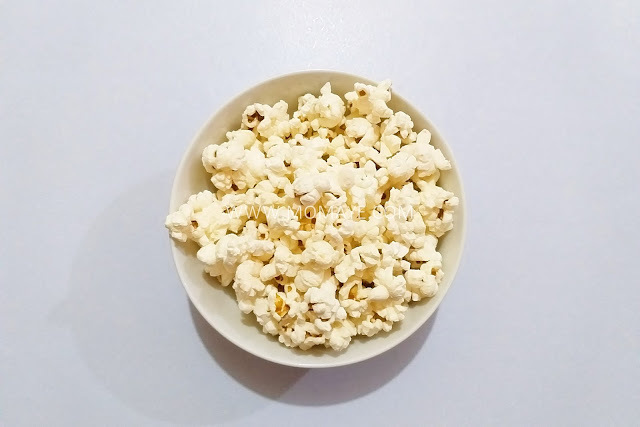 We also tried popping corn and would you believe it looks like this? Again, the popcorn was cooked the way you fry it in oil. 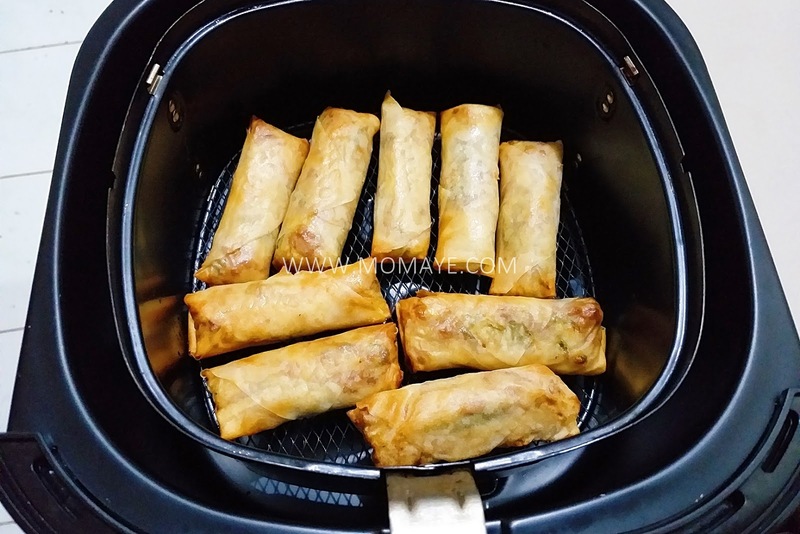 Finally, we also airfry lumpia or spring rolls too and the crispiness is just the same without the oil. 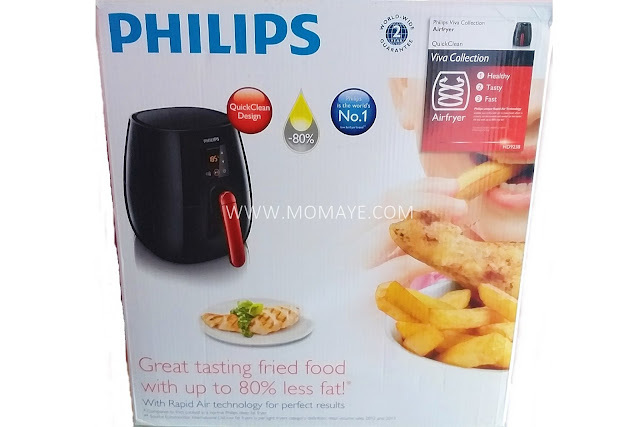 Finally let's go back to the question if the Philips Airfryer can really make good fried foods? The answer is a big YES. The only disadvantage of it is its size or cooking capacity but for me, it's still a good buy. As for its electric consumption, there's no significant increase in our monthly electric bill since we started using the Philip Airfryer. With Philips Airfryer, possibilities are limitless. 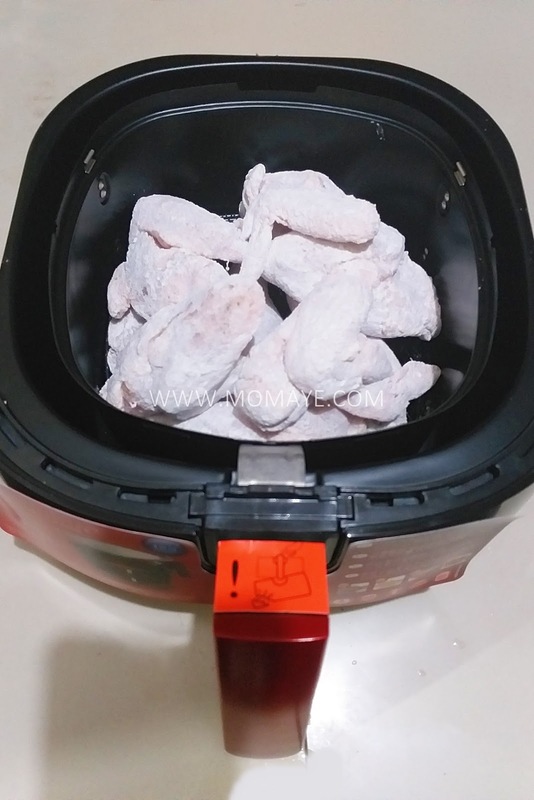 Because you can use this air fryer to make good, healthier food that are normally deep-fried, sauteed, baked or grilled. It's a good investment in your kitchen. 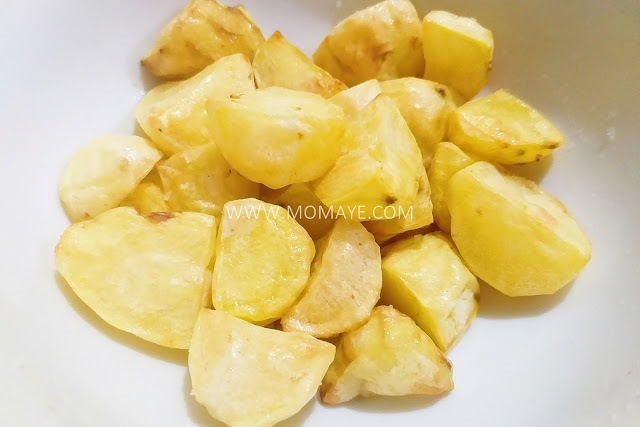 To view more of the food we air fry and the baon that I make, like us on Facebook - Momaye's Diary, Momaye's Baon Diary, and follow us on Instagram - @mommymaye, #momayecooks.